Completing a marathon is the milestone that many runners aspire to achieve. It’s an incredibly rewarding accomplishment that is on the bucket list of countless individuals across the globe. However, if you haven’t trained correctly before the day of the event and are planning to just turn up and flog your way to the finish line, you’re in for a nasty surprise. It’s an extremely strenuous challenge that requires commitment, tenacity and perseverance, as well as an abundance of hard work. 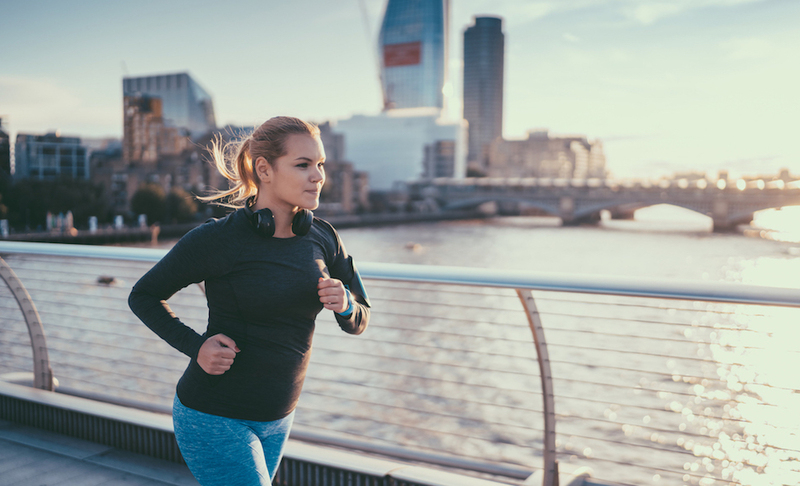 Not to worry if you don’t know where to start when it comes to marathon training, here we’ve provided some of our top tips for making sure you’re in good shape when it comes to race day. Before embarking on your training programme, it’s important that you understand just how much effort and time you need to be dedicating to your running. You need to get your body accustomed to running for extended durations, so you’ll need to be consistently putting in the miles on a weekly basis for around 4 months. Many runners choose to take part in a 5K, 10K or other shorter race before entering a marathon to prepare both mentally and physically. This is advised if you’re still not 100% sure about entering a marathon and can be used as a taster to see if you’d cope with the demands. No two marathons are the same. Some include tens of thousands of runners with as many spectators in the city streets, while others are less well-known and feature only a few hundred participants in a secluded town. If you’re likely to thrive off of the vibrant race atmosphere, then go with one of the larger events. If you think you’ll feel intimidated by the large crowds, then it’s probably a good idea to choose a more low-key event. How Far Should I Run When Training for a Marathon? Deciding how many miles you cover at the start of your schedule will depend solely on your current ability and experience. The athletes who already regularly run usually look to complete upwards of 35 miles per week initially, but are likely to increase to around 50 at the peak of their training. Newer, less-experienced runners will probably start with 15-mile weeks, and gradually increase this to around 40 miles. The most successful marathon training plans are usually devised of 4 different strategies: base mileage, speed work/tempo runs, extended runs and rest & recovery. Your base mileage is the distance that you complete on a weekly basis. Whether it be 15 or 50 miles, try to spread your distance across 3 – 5 leisurely runs every week. Although you should be gradually increasing the distance you’re running, avoid raising your weekly distance by more than 10% week to week as it’ll put you at an increased risk of injury. For example, if you’re running a 30-mile week, don’t run any further than 33 miles the following week. Completing a long run at a considerably slower pace once every week (at a maximum) is the most important part of your training. They help you to build confidence, strength and endurance, as well as prepare your lungs, heart, bones and joints for the full 26.2 miles. Be sure to rotate your particularly tiresome workout days so that your tougher runs aren’t occurring on consecutive days. They should be increased by a mile or two every week, working towards a particularly long run of about 20 miles. It’s recommended that you avoid tackling the full marathon distance in training as the chances of you getting injured are quite high and simply isn’t worth the risk. Don’t panic about not covering the entire distance in training – as long as you’ve stuck to your schedule, have been consistent with your runs and are in good condition, you should be able to complete the full marathon. Rest days are an essential component of a successful training plan and involve no running whatsoever. Not only do they allow you to recover from vigorous workouts and help reduce the likelihood of injury, but they also go a long way in preventing mental exhaustion. This is vital to ensuring you stay committed to achieving your end goal. For some of your rest days you’ll probably want to have a complete break from all exercise and let your body physically and mentally recover. On others, you might benefit from taking part in some cross-training – strength training can improve running form and yoga can help you recover after a run, to name two examples. If on any days you feel unusual pain or discomfort, reduce the mileage slightly and spend one or two more days resting. It may also be advisable to consult a doctor if the pain is extreme or unexpected. It isn’t necessary but some runners choose to add speed work, particularly interval training, to their training schedule to help them increase their aerobic capacity. They require you to run faster than you normally would so that your body is able to manage more demanding work over an extended period of time. Interval training involves alternating periods of recovery with periods of high-intensity training. For example, repeating the process of running faster than usual for half a mile, and then slowly jogging to recover for 2-3 minutes several times over. Here at Race at your Pace, we’re dedicated to helping people effectively train for their marathon. Every month we run awesome virtual challenges that require you to run a specified distance throughout the course of a month, encouraging you to train and get yourself prepared for race day.